I had good intentions to get this post written this morning but I didn’t sleep last night due to some strange painful spasm in my neck that kept me awake all night. When I got up I made my way to the acupuncturist to get some relief. 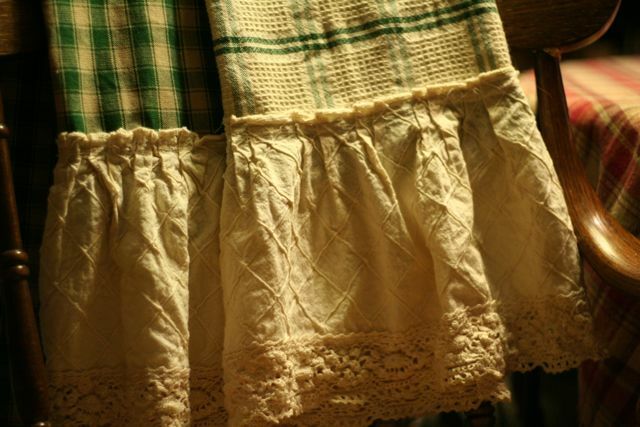 Anyhow I have been trying to get my gifts done for the holiday, earlier than later is my hopes so I wanted to share with you all something I made recently, these simple kitchen towels with a ruffle. Perfect gift for the cook in your life. 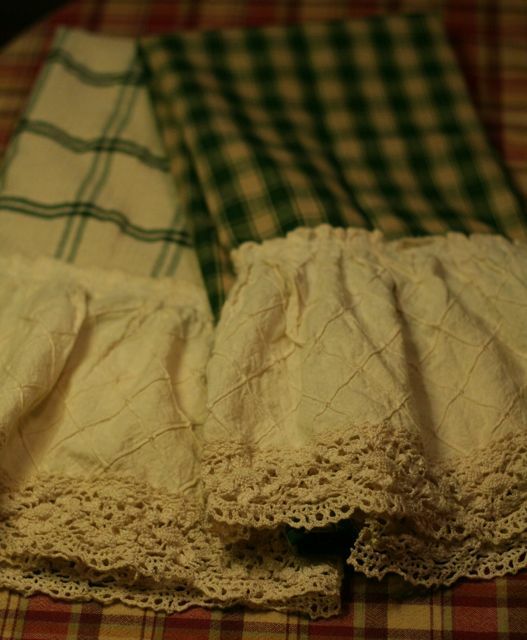 All you need is a kitchen hand towel(or you can use a hand towel for the bathroom) and a ruffle of some sort. oh and of course a sewing machine. I used ruffles from this dress and just pinned them on and then sewed them on. Super easy! Give it a try! This entry was posted in DIY, I made this!, Recycled, tutorial on November 22, 2010 by Deanna. So cute! Could you hand sew them?